Back pain is one of the most common reasons for visiting an orthopedic doctor. 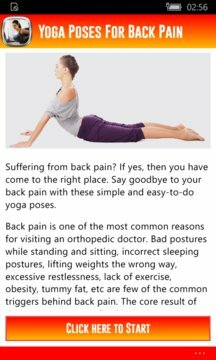 Bad postures while standing and sitting, incorrect sleeping postures, lifting weights the wrong way, excessive restlessness, lack of exercise, obesity, tummy fat, etc are few of the common triggers behind back pain. The core result of these triggers is an inflexible back. Yoga is a wholesome solution to all of these triggers. How does yoga ease back pain?